After busy fashion weeks, countless assignments and the overall hustle and bustle of New York, I like to take a vacation. California is the complete opposite of the hectic vibe of New York and thanks to friends with sailboats, I found a little spot I love called Ventura. This is my new favourite place to rejuvenate and relax, while staying healthy at the same time. I personally love to sail and while I always have a massive amount of sunscreen on hand (the sun is tricky, even when it is cold and windy out) Ventura Harbor is an easily accessible spot, with great ocean views. For exercise, I wake up every morning and take a jog on the nearby beach. When you go early (6 a.m. for me), you always have great views of surfers enjoying the morning waves. I have sometimes go out with a friend. While I do not consider myself a surfer by any means, this is always a great work out for the upper arms and especially the shoulders. Surfers Knoll Beach, South Beach and Harbor Cove Beach are seconds away. And, after I surf or run for that matter, I am hungry. The dining and shopping options at the Harbor Village, which is minutes away are a plenty to say the very least. One of my favourite spots for a quick, healthy lunch is Baja Bay Surf’ N Taco. This famous whole-in-the-wall is great for healthy eating and honestly, some of the freshest seafood tacos on the planet. For a delicious and healthy dinner option, Brophy Bros. Clam Bar and Restaurant speaks wonders when it comes to fresh seafood. I typically splurge on Oysters Rockefeller (especially if I work out in the morning) and then, select one of their many quality seafood and veggie choices. Harbor Village is also known for their unique shopping. I have two personal favourites at this locale. First, there is a store that only sells hats that is called Hats Unlimited/Shades Shack. I plan on stopping by at some point to purchase an Indiana Jones hat that my father would absolutely love. Another quirky shop (and I said unique shopping) is the Lost in Socks boutique. This store literally only sells only socks, which I find fascinating, as I spend most of my time barefoot on a sailboat. Yes, it does get damp and cold at night, but I truly wonder how a sock store can make it in such a spendy location. Last but not least, the entertainment options are endless here. 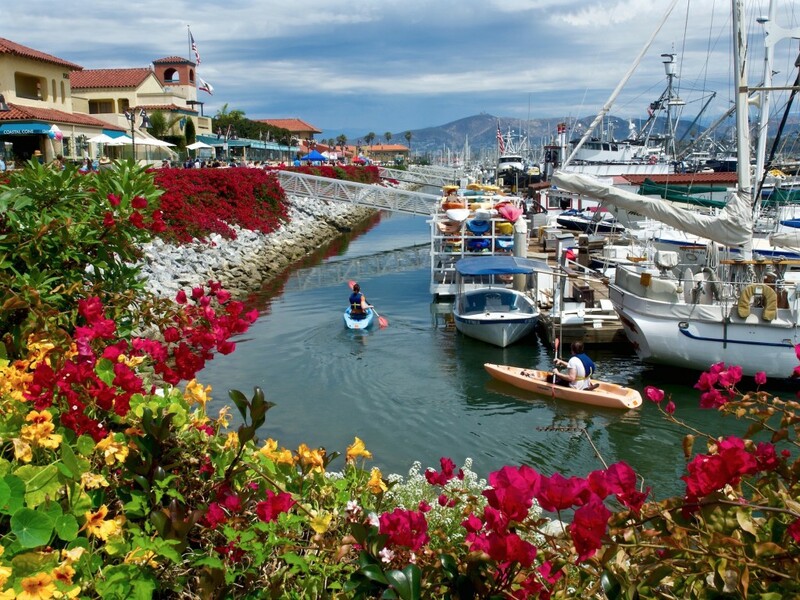 From Wet Wednesdays (shopping and dining specials), to Steel Drum Saturdays, Summer Concerts and Comedy Festivals; Ventura is truly the place to rest and relax. And, if you do not have the luxury of staying in the Ventura Harbor, the Four Points Sheraton is right around the corner. Happy travels, whether you are a model or otherwise this is a great place to stay fit, eat healthy and just relax by the Pacific Ocean.